TechnoServe is working with women in remote rural areas of India to improve household nutrition and incomes. 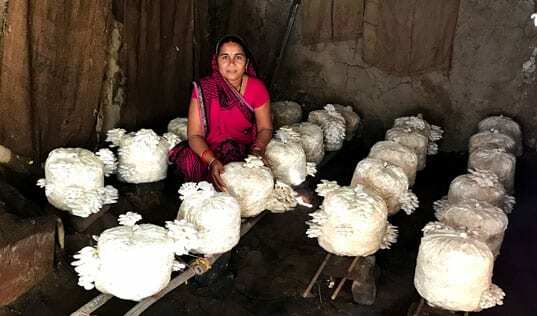 In rural communities across India, women provide tangible and intangible support to farm production while carrying the bulk of household responsibilities. 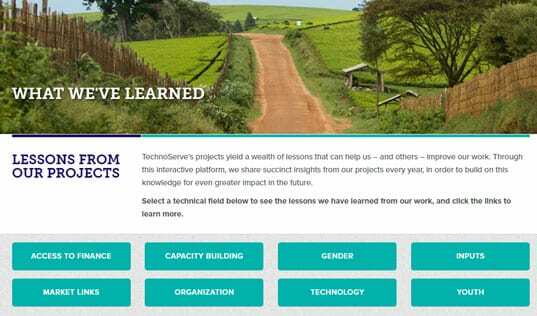 TechnoServe is working with women to improve household food security through the development of kitchen gardens. Utilizing land available at the homestead, the kitchen gardens are a source of nutritious food for the family, and provide women with an opportunity to earn additional income. 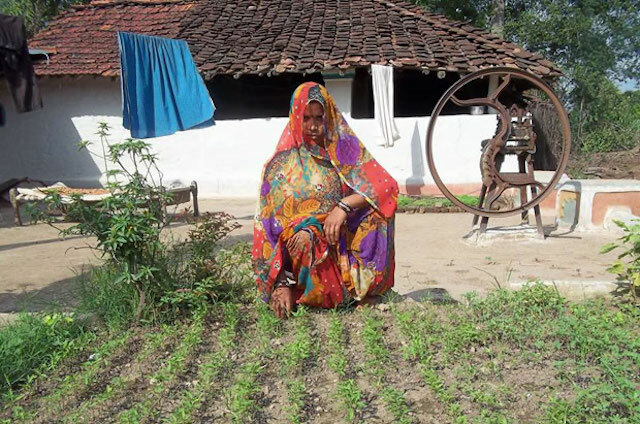 As part of a partnership with Kellogg Company to improve smallholder farmers’ incomes and resilience in Madhya Pradesh, TechnoServe is helping women farmers establish organic kitchen gardens. More than 1,000 women have received training on backyard vegetable cultivation that can provide an additional source of income as well as nutritious produce. The training modules cover nutrition and sustainable gardening practices such as field preparation, low-cost organic fertilizer preparation, and post-harvest care of vegetables. The women are also receiving training on improved agricultural practices for maize and wheat production. Rainfall patterns in the region have been late this season and yields for traditional crops like maize, wheat and legumes are expected to be low as a result. As such, the kitchen gardens are allowing the women to diversify into new crops – spinach, fenugreek, beets, carrot, okra, eggplant – to increase their resilience to climate change. 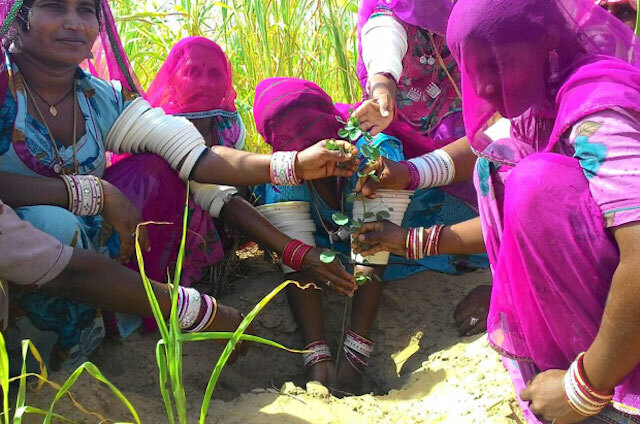 Likewise, TechnoServe is helping women in the desert district of Barmer, Rajasthan, establish kitchen gardens to grow produce for domestic consumption. 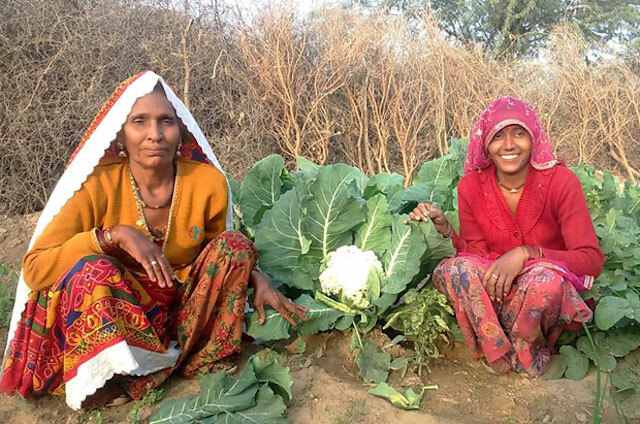 More than 1,000 women participating in the Barmer Unnati project, supported by Cairn India Limited, have established a total of 202 kitchen gardens. With technical training and support from TechnoServe, the women have set up nurseries for eggplant and chili, and 37 nurseries for growing cabbage and cauliflower over the winter season. 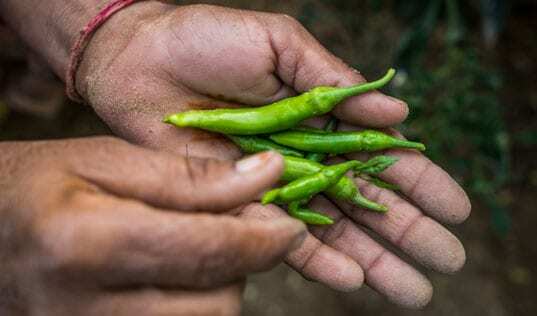 With the end of the first harvest, the women are happy to have fresh vegetables available from their own backyard, rather than purchasing them from the market. The project estimates that each household has saved nearly $60 a year on the purchase of vegetables. The women have formed informal groups to support each other in this new activity and are working to scale up their operations to grow more vegetables for local markets. TechnoServe has established 20 kitchen garden demonstration plots and has provided training on nutrition and garden management to 300 women. Participants learned sustainable farming practices, including how to prepare organic repellent and organic manure using locally available materials. Over 80 women have established kitchen gardens at their homesteads, providing their families with green leafy vegetables such as spinach and fenugreek, which were not a part of their diet earlier. Participants are delighted with the first harvest, reporting that the home-grown vegetables are “cleaner” and taste better than those bought from the market, in addition to saving them money.